Updated Monday June 27, 2016 by Saskatoon Minor Basketball. The 2015/2016 season marked the best in program history. The Huskie Women’s Basketball Team are the 2016 CIS National Women’s Basketball Champions. 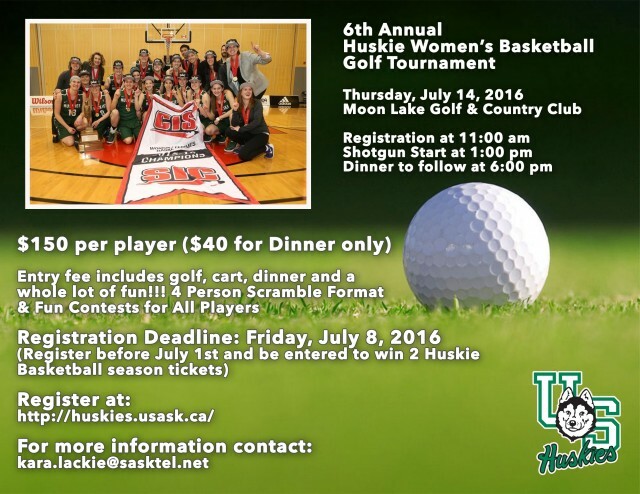 This 6th Annual Huskie Women’s Golf Tournament will be held at Moon Lake Golf and Country Club on Thursday July 14th.